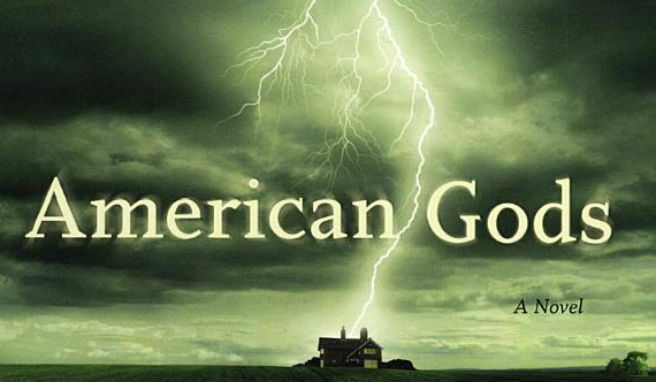 This episode is yet another Book Club: American Gods by Neil Gaiman. This is the quintessential geek books out there. The book opens with the character, Shadow. We don’t really know why he is in prison, but he just keeps his head down and serves his own time. Days before he is to be released, he finds out that his wife has been killed in a car accident with his best friend. He ends up being released a few days early for his wife’s funeral. While flying home, he meets up with a strange man (whom he feels is a plant to screw him over). He has to deplane and ends up renting a car and driving to the middle of nowhere, and weird guy from the plane is sitting there (Mr. Wednesday). Shadow decides to take the job offered to him with Mr. Wednesday (for reasons unknown to anyone). Shadow makes it home to the end of the funeral to find out that his best friend and wife were having an affair. He gives the gold coin from the leprechaun to his wife. There is a lot of background info on what happened and why, but the majority of the book talks about the old gods (Odin, Loki, Easter, etc.) versus the new gods (TV, technology, Internet, etc.) and how when people leave their homelands they tend to leave their old Gods behind. If you haven’t read this book, please do so and then listen, as it is a book club and full of spoilers. Upcoming episodes are going to be STAR WARS related, so be prepared for that! !